Are you looking for the perfect angel gift for the spiritual seeker or angel lover in your life? Or maybe you're looking for a great angel gift for you? Either way, I've rounded up some of my favorite angel gifts (to give or get) here! 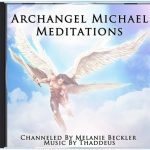 These are great reminders of the angels we each have with us at all times, and many of the items will actually help to strengthen your natural angelic connection too! Here are some great gift options you or your loved one are sure to love! Just as the name suggests, Angelite is a gemstone that actually helps to increase and facilitate connecting with angels! Angelite is also a very soothing stone, that's wonderfully uplifting and supportive in handling life changes and transitions with grace and ease. 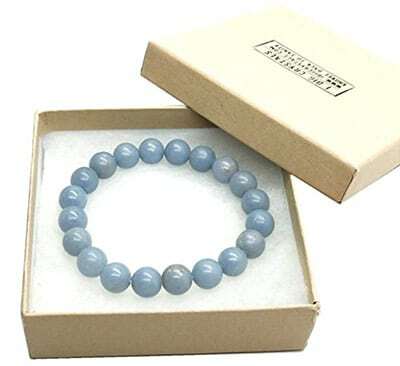 This Angelite bracelet is available in multiple sizes, all with round 9- 10mm Angelite beads strung together with a sturdy, stretchy cord which makes for a comfortable and flexible bracelet you, or your loved one is sure to love! This candle smells amazing, and has been created with honeysuckle, sweet heather, rose, and peppermint essential oils to support you in calling on and connecting with your angels! 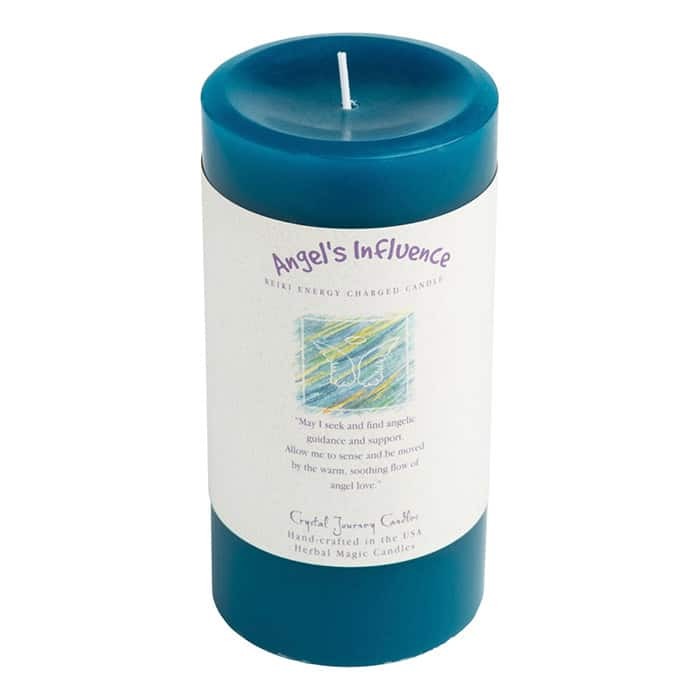 It's available in several scents, sizes, and shapes with my favorite, of course, being this large 6-inch by 3-inch ‘Angels Influence' pillar candle. Or, explore can explore more of the sizes, shapes, and scents of these great reiki charged and essential oil infused candles from Crystal Journey here. Limited edition prints of original angel paintings make great gifts! Not only are these pieces of art stunningly beautiful and high vibrational, but they're incredibly affordable too! 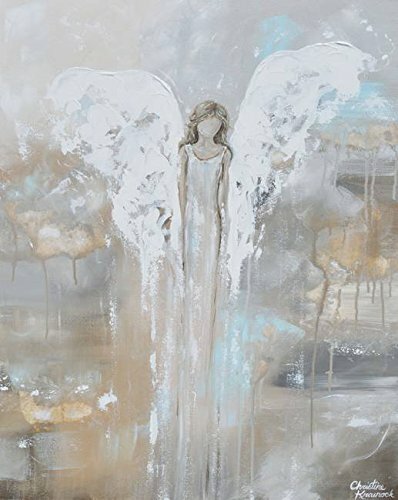 The beautiful angel painting shown is by Christine Krainock who paints lovely contemporary angels in neutral colors, designed to perfectly grace any home. Really, you can't go wrong with any of her work. Also, be sure to check out my Angel Paintings Roundup where you'll find a beautiful collection of the top angel artists on Etsy. Angel paintings are the perfect reminder of the presence of angels and would make a great addition to any room! Plus many artists offer a variety of size and price points, so you're sure to find a size and style that's right for you! 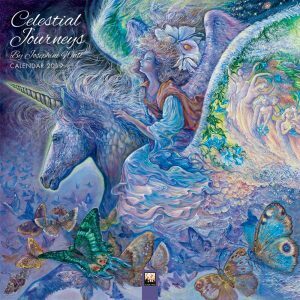 This 2018 Celestial Journeys Wall Calendar features the brilliant celestial artwork of Josephine Wall. And bring the inspirational sense that this year… Anything is possible! 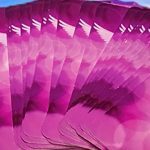 These beautiful crystal angel suncatchers will create brilliant streaks of rainbow color when the sunlight shines through. Perfect to hang in any room, the 30mm crystal ball will help to circulate positive energy and light throughout your home. 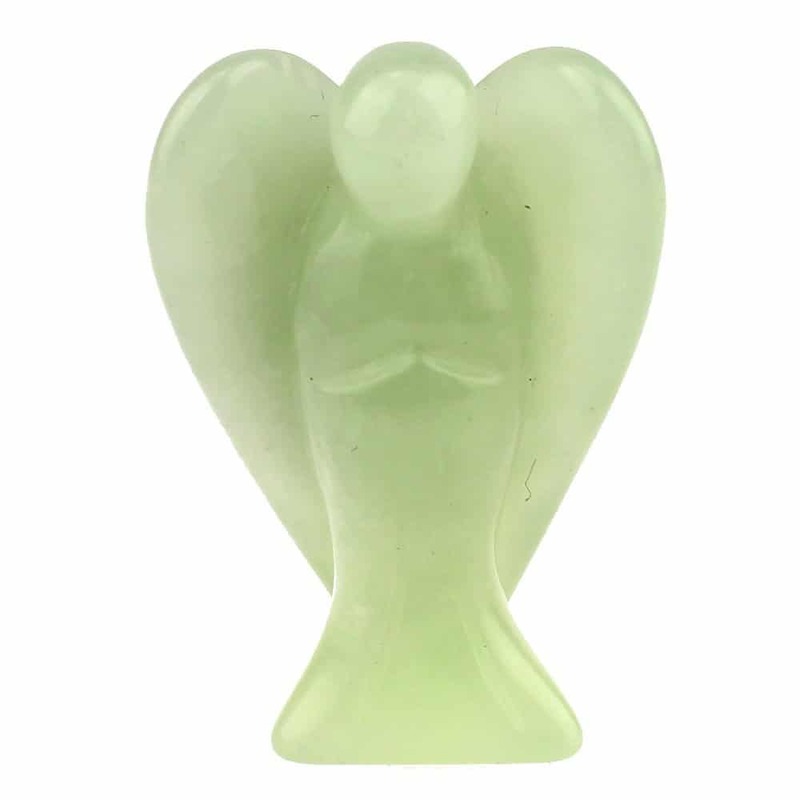 And the glass angel bead is a wonderful reminder of the healing, protection, and guidance always available from the angelic realm. These would make great Christmas tree ornaments too! A perfect gift for any occasion. 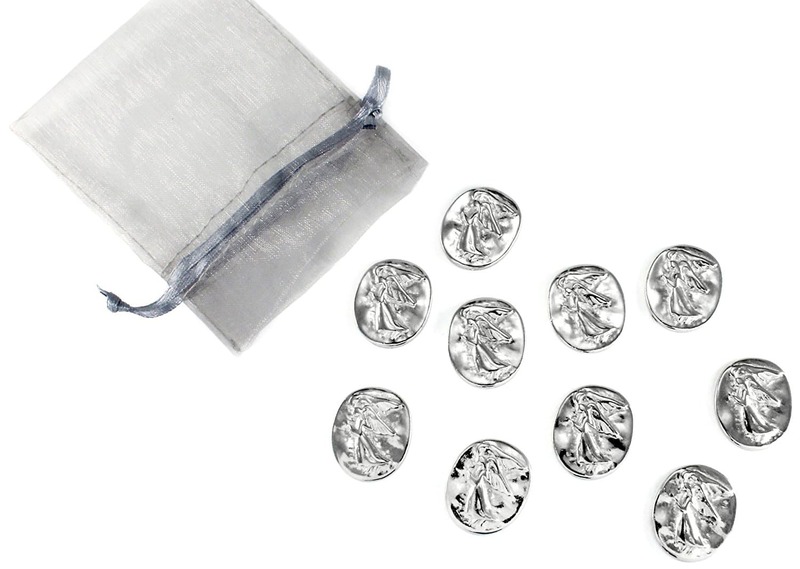 These pocket angel tokens make the perfect small little gift to give to anyone who means something to you. 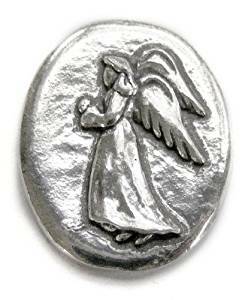 When I used to work at a crystal and metaphysical shop, these little pewter pocket angel tokens were some of the best sellers! They're a great reminder of the unseen, but eternal angelic assistance that's available to us all! You'll get the best deal when you buy a pack of 10, which I recommend, as these are easy to want to give to family and friends for just about any occasion! I like keeping one of these in my wallet that's ready to pass on to someone in need of a reminder of the love, support, and guidance of the angels that is always available! 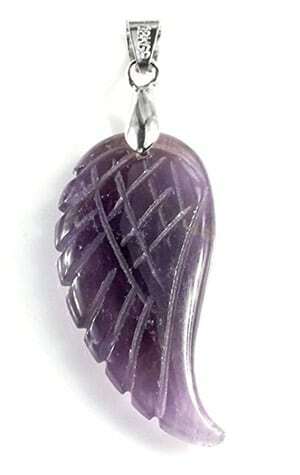 I absolutely love these gemstone angel wing necklaces. Featuring a gemstone angel wing available in clear quartz, amethyst, green aventurine, obsidian, rose quartz, and opalite. Personally, I think these necklaces are just the perfect size… Not too big and not too small… Also, comes with a stainless steel chain. But it also cleanses the energy of your space! 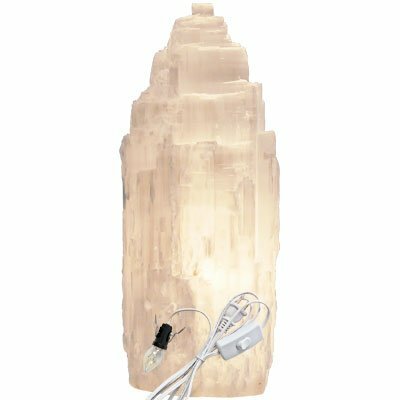 That all adds up to make this beautiful, large 10-inch selenite tower lamp the perfect gift for any angel enthusiast. Check out my blog post about the connection between Selenite and the Angelic Realm here! While I love the large size of the 10-inch selenite lamp shown, it is available in a smaller 6-inch size here too! But you get the healing properties of the crystals they're made from too! Click here to see the many different gemstone options you have to choose from! This elegant angel figurine is made of resin so its durable, but it looks like it's elegantly made of desert sand! Angel figurines are some of the most popular angel gifts, as many people love displaying them as a physical reminder of the spiritual angels who are always near. 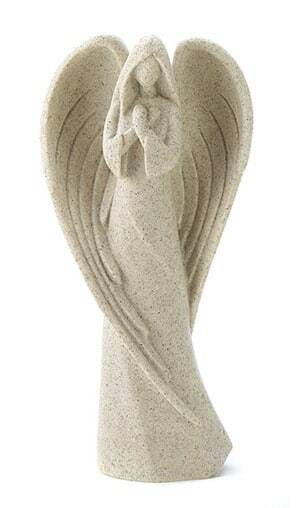 I love the simplicity and elegance of this angel figurine. She would be a great addition to any home! Click Here to browse more angel figurines. The 25th Anniversary Edition of the Original Angel Cards is a set of 72 tiny little cards which each feature a small illustration and a single word. These charming little cards can be used in many different ways. For the right person, this is sure to be a highly appreciated and memorable gift. You could even include a pretty glass bowl or dish to beautiful display the cards in an easy to use way. This awesome shirt represents the open heart required to connect with angels. 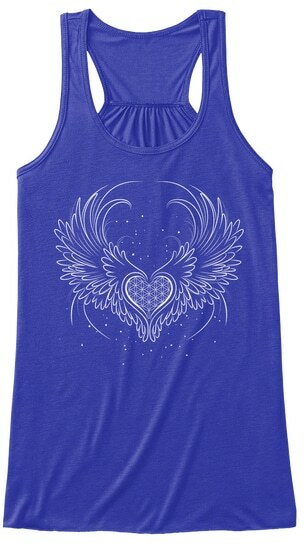 The beautiful white heart and angel wing design, is well contrasted by the bold shirt colors available. This shirt makes a great gift for any angel lover! Full disclosure… These are my oracle cards! 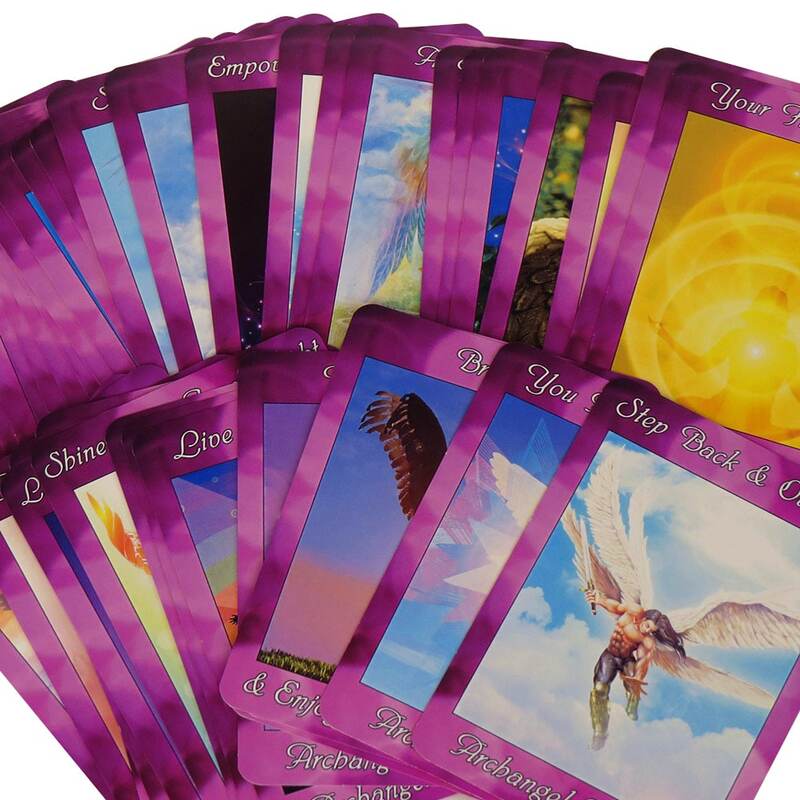 Each card features beautiful imagery and a short message to trigger your intuition as to the deeper meaning from the angels. A guidebook with expanded messages from the angels is also included. 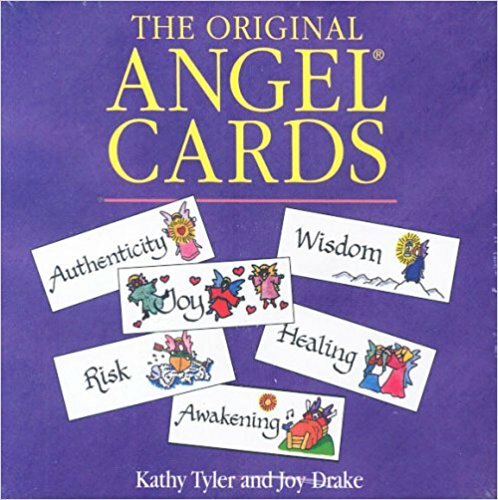 Perfect for complete beginners or advanced angel card readers. Your heart chakra is the access point for Divine consciousness, and the angelic realm. 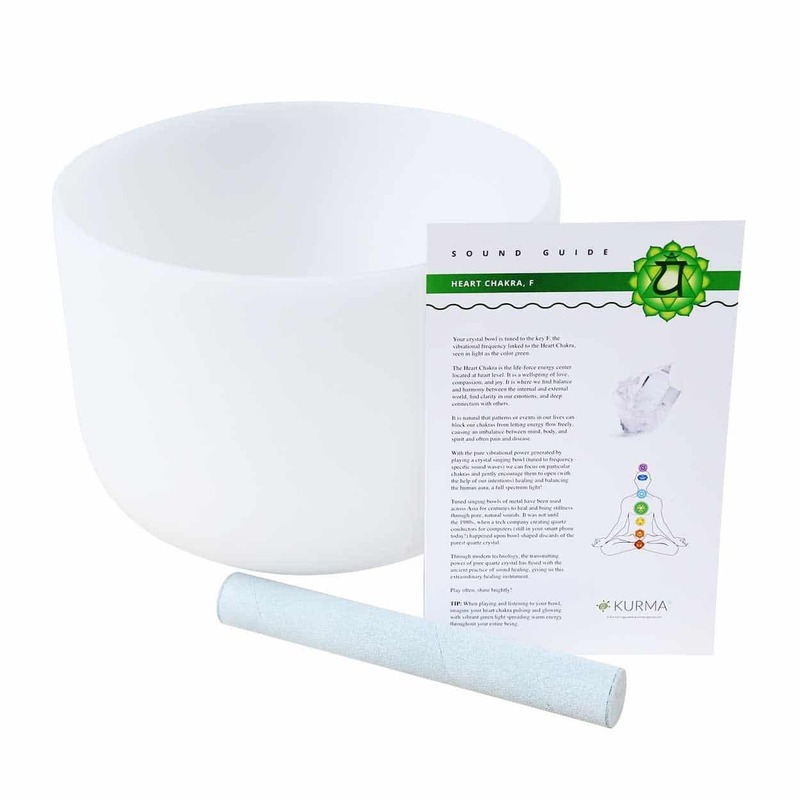 Heal and open your heart with this beautiful heart chakra crystal singing bowl. Tuned to F, the lovely pure sound produced has incredible heart opening and healing power. Frosted crystal singing bowls are also the easiest to play. Includes a swede malate, rubber ring base, heart chakra card, and of course a flawless high-quality crystal singing bowl. 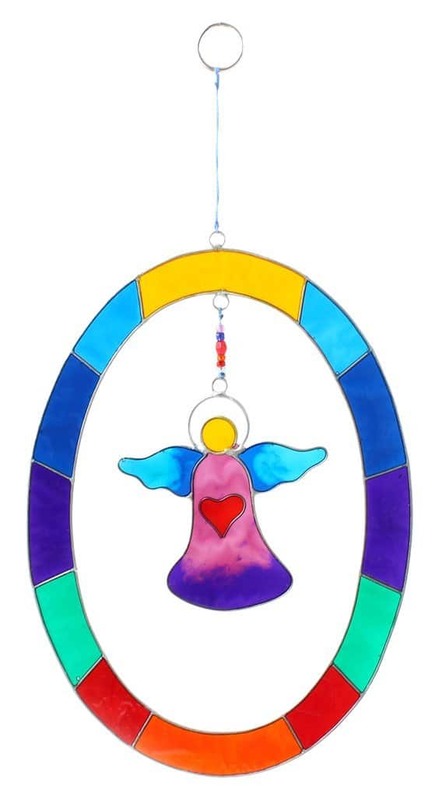 These colorful handmade angel suncatchers will make a lovely addition to any window… Catching the sunlight and brightening every day. Multiple styles, colors and custom options for stained glass suncatchers are available. Adult coloring books are all the rage now for their creative and calming qualities. 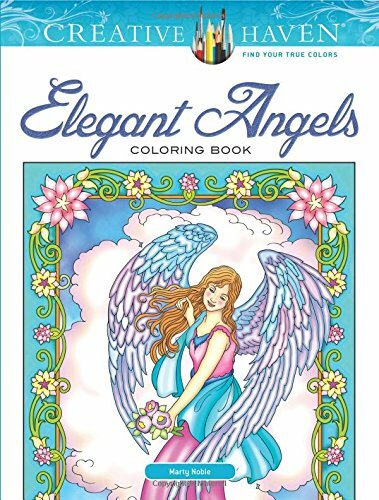 Coloring is a great way to return to the present moment, relax, de-stress and become more mindful… And what better to color than beautiful images of angels?! Over 30 beautiful angel illustrations by Marty Noble are combined in this great coloring book. The pages are one-sided and perforated for easy removal and display. Combine this coloring book with a nice set of colored pencils to turn this into a wonderful gift! 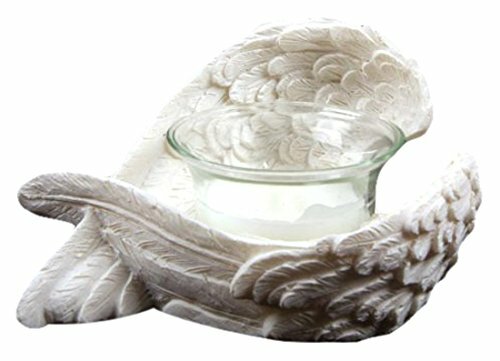 This lovely candle holder is one any angel lover will enjoy. Combine with beeswax candles or eco-friendly paraffin-free tea lights to round out the perfect gift. Triloka's Angel Incense is all chemical-free, fair trade, and hand-rolled masala incense from India. The Angels of Love scent shown here is a lovely blend of frankincense, cinnamon, rose, Japanese snowbell, and sandalwood. Each stick will slowly burn for 30-45 minutes, releasing an earthy natural scent to inspire feelings of love, and connection with angels. Browse more incense scents by Triloka here. When Feathers Appear Angels Are Near Mug! 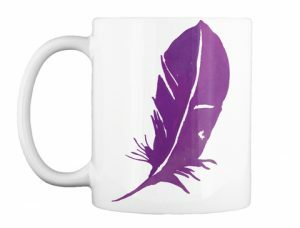 This beautiful Angel Feather mug brings the reminder that you always have angels with you – Loving, guiding, and supporting you in your life… Because as the saying goes “When feathers appear, angels, are near”. Combine with a delicious herbal tea for an amazing gift for any angel lover or spiritual seeker. These are all beautiful gifts for angel lovers!